Finding a paddle that offers excellent performance & builds at a great price can be challenging, especially on the competitive-level range. But that does not mean it’s impossible. 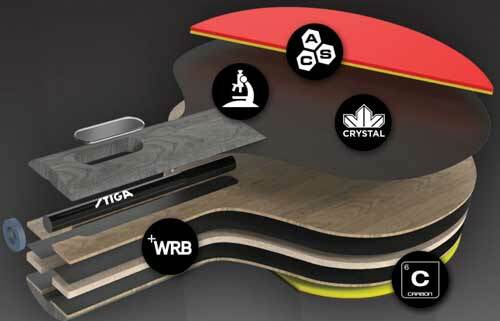 That’s exactly why Stiga has the Pro Carbon racket, a paddle model that works really well for the aggressive and experienced table tennis players who want great results without breaking the bank. In this Stiga Pro Carbon review, we go over several factors that make this racket an excellent choice as well as some drawbacks you may experience while using it. If you are interested in what this racket has to offer, then reading this review will be a great idea. With the ProCarbon, you’ll be able to achieve exceptional power in each shot while still getting superb spin. You will also get decent control for more accurate shots. And with its light design and comfortable handle, neither your wrist nor your hand will hurt or feel tired while playing. When we talk about the Stiga Pro Carbon, we talk about one of the most affordable yet still high-quality options in the market. 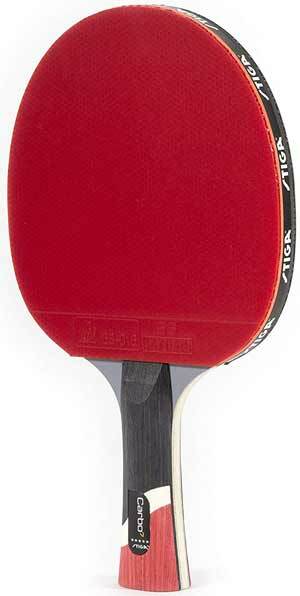 It is a mix of what a paddle for aggressive players should be, with excellent materials that provide durability and a more performance-oriented design. It is constructed with a 7-ply extra-light blade that reduces exhaustion and produces excellent shots. You also get an S5 rubber which alongside the 2mm sponge will promote great bounce and sensitivity without losing control or spin. And with the fantastic SDT, you can get rid of vibrations that eventually make your shots fail. 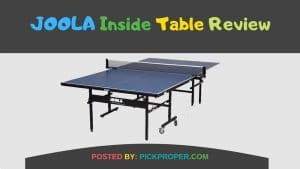 Everything you get with this racket is oriented towards better performance, especially if you are someone experienced who wants an aggressive option. And for sure, it won’t let you down as long as you know exactly what it is made for. 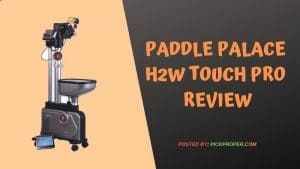 With the addition of the Concave Pro Handle and the SDT (Shock Dispersion Tube), you’ll have a very sensible paddle that improves your performance exponentially. Each shot will be easier, making the ball spin will be a piece of cake, and exhaustion on the hand or wrist will be eliminated entirely. Even with the hardest of a shot from your opponent, hitting with this racket will ensure a potent and controlled finish. Alongside a high sensitivity, you get exceptional comfort & recovery after each shot. This is mostly due to the Balsa Technology of the paddle, offering ultra-light Balsa wood that increases overall speed after each stroke. With the comfort of the Concave Pro Handle and the lightness of the paddle with balsa wood, you’ll achieve greater reaction time than with cheaper rackets. If you are someone competitive who does not want to lose on a good and fast finish. Being fast in each shot also means being more powerful. That’s what you give thanks to the combination of the Balsa Technology and Crystal Technology of this paddle. You will get both the benefits of a speedy and light racket that also produces excellent power for the most unbeatable shots. Any player who loves to play offensively will like to have this kind of paddle in their hand. With the addition of premium S5 rubber and a 2mm sponge, you’ll think this paddle won’t provide enough spin or power. But in all seriousness, this is one of the most powerful and spin-oriented choices, making it easy to do spinny serves that confuse your opponent or eventually achieve a point in the most unexpected of ways. This construction helps experienced players to achieve much better performance at first use. Not only it works because of the speed or the lightness of the paddle but because the rigid rubber provides an excellent bounce that gives the ball an unbeatable touch of power & spin. 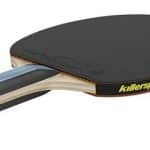 Boasting two layers of carbon, a 7-ply balsa wood construction, a 2mm sponge with premium S5 rubber and a comfortable Concave Pro Handle seems like a lot to offer for an affordable price. This may eventually bring some doubts as to how durable the paddle is. But guess what, it’s actually one of the most reliable in the market. And when add that the rubber can be replaced at any moment, there’s no doubt this is a paddle that will stay with you for a long time. This racket is exceptional in every way, but that does not mean it is perfect. Here are some drawbacks you may experience with this product. Great power, light feeling, excellent sensitivity, and energy transfer, which alongside an outstanding speed all translate into one of the less precise rackets out there. You won’t have a problem controlling and doing spinny shots, but eventually making precision shots won’t be as easy as with other paddles. However, there’s nothing time, and practice can’t handle. While it may be hugely comfortable and light for many people, it may also feel a bit uncomfortable for some. The roughness of the wooden Concave Pro Handle is not for everyone, and that’s something which eventually makes it a little frustrating to use. However, this is nothing a little sanding or rubber tape can’t fix. Anyway, stiga pro carbon is already added on our 15 best paddles list so you can check it. Stiga Pro Carbon: An Excellent Choice for Aggressive Players! As you should know by now, the Stiga Pro Carbon is not a cheap paddle, but it’s not expensive paddle either. With this in mind, it’s vital to mention how much power you can achieve, how good your counter shots will be, and how light and fast it feels when using. But this doesn’t mean it won’t be useful for spinny or controlled shots either. You will still achieve exceptional accuracy and tricky strokes as long as you know how, especially with its light Balsa wooden build. This makes it ideal for offensive players, those who go for it and want to get their opponents when they least expect it. 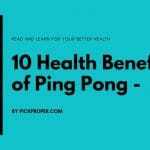 On the other hand, it’s not the most comfortable racket out there, but you will probably never feel exhausted or end up with your wrist hurting. And to make it even better, it is one of the most durable in the market; thanks to a superb wood & carbon construction with replaceable rubber. 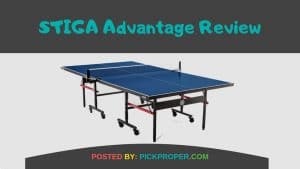 So to finish this Stiga Pro Carbon review, let’s just say it is an almost perfect paddle for aggressive ping-pong players who expect no less than an outstanding product. And for its price, there aren’t many options out there to match it.